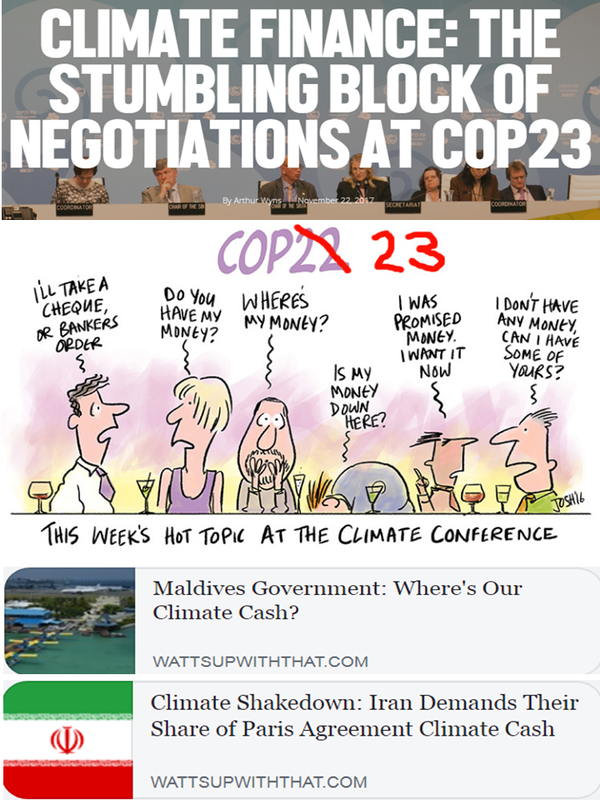 The range of climate money being expected to be redistributed from rich to developing countries is from $100 B/year starting 2020 (just 1 1/2 years from now) to $5 trillion/year. Huge climate money and extortion is the defining characteristic of all these climate talks by the UN and other multilaterals. Meanwhile, I posted this last June 2, 2010 in my fb wall. 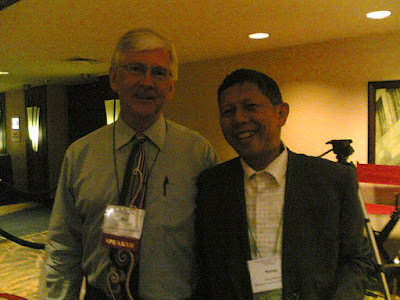 My picture with Dr. Roy Spencer (www.drroyspencer.com), a known climatologist at the Univ. of Alabama in Huntsville (UAH). Among his important work is interpreting satellite data of global tropospheric temperature. Picture during the Heartland's 4th ICCC in Chicago 2 weeks ago. With one of my idol scientists. Data and theory should conform with each other, always. If data does not show what theory says or predicts, the former should prevail, throw away the theory and it should go back to being a hypothesis. Among the important things I learned from these scientists. Meanwhile, here's the latest global ·air temperature data from Dr. Spencer. From 0.44 C global temp. anomaly or deviation/departure from average 30 years in May 2017, down to only 0.18 C in May 2018. Yeah, planet Earth is getting hotter and warmer and sizzler. Trump listens to guys like Dr. Spencer while Obama and HRC despise him. He's too independent minded, too science-based that only facts and data would guide his pronouncements (along with his boss Dr. John Christy, also few other scientists), not politics and govt funding (US or UN or WB, etc). Trump transition teams in 2016 wanted to tap him to head EPA or as Presidential Science Adviser but he declined, he dislikes heavy politics up there so he stays at the Univ. of Alabama in Huntsville (UAH). Only 2 teams in the planet provide global air temp analysis, UAH and RSS. Heavy, big data collected by NASA satellites every hour 24/7, from N hemisphere and the Arctic to tropics to S hemisphere and Antarctica.